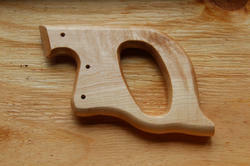 We are devoted towards manufacturing the qualitative range of Wooden File Handles. Made available in varied dimensions, these are suitable to get fitted with any type of hammer.These are supplied in suitable packaging. 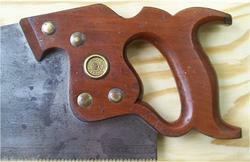 We can produce wooden saw handle as per clients' head eye size. We are trading and supplying a quality approved range of Gigli Saw Handle Set that maintains the spine in its neutral position. Procured from certified vendors of the market, the offered rest is designed with utmost precision using high grade basic material by our skilled professionals.